Spent about SGD $50 per person. 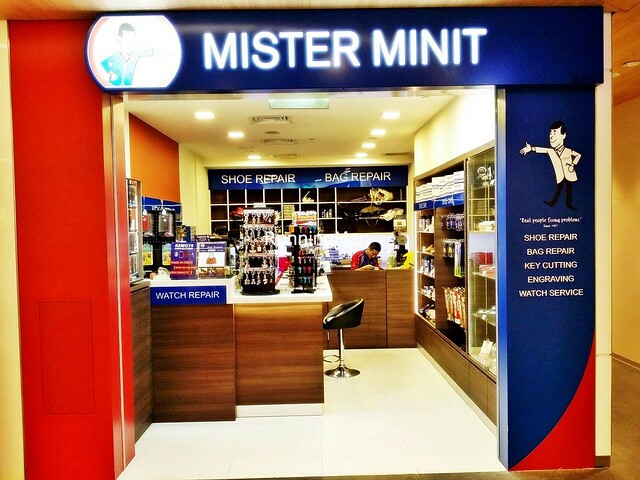 Established in 1957, Mister Minit is a service provider specialising in unisex shoe repairs, bag repairs, key duplication, and watch repair and engraving services, along with being a retail store for various accessories cleaning products. 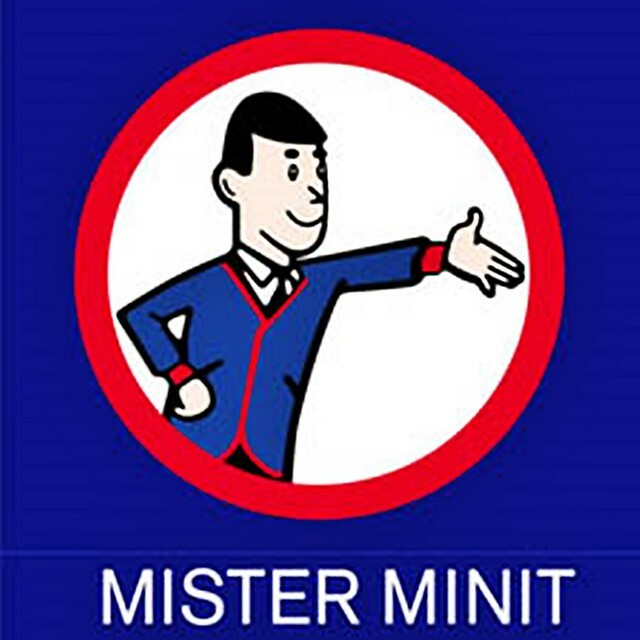 Founded by Donald Hillsdon Ryan in Brussels, Belgium, Mister Minit has since gone international, with stores across Japan, China, Australia, New Zealand, Malaysia, and Singapore. They were among the earliest to adopt a While-You-Wait repair service, providing quick, effective shoe repairs. Mister Minit stores in Singapore are usually located in convenient heartland or business locations. This means that it's easy to locate a store quickly if you need a shoe / bag repair done, or a key duplicated. In general, Mister Minit stores still practice a while-you-wait service, a visit for a shoe repair or key duplication usually takes less than 20 minutes, so you won't need to wait too long. However, bag repair and engraving services usually take a few days. The quality of the repair / duplication service is very good, and extends the lifespan of your product. Staff at Mister Minit are usually friendly, able to converse in both English and Mandarin. They look suitably well trained in the operation of all the equipment in-store, and usually work quickly to attend to customers. Mister Minit stores also retail various cleaning / care products, staff do have basic working knowledge if asked about the usage or applicability of these products, though more complex comparision questions seem to stump them. Prices for a shoe / bag repair cost about SGD $30 - $150, while key duplication costs about SGD $15 - $20, quite reasonable. Mister Minit stores in Singapore also provide specialised electronic door access card and remote control services for duplication / creation. I appreciate that they've kept up with technological advances, though this service, along with engraving services, are only available at selected outlets.